When will be Vandread (US) next episode air date? Is Vandread (US) renewed or cancelled? Where to countdown Vandread (US) air dates? 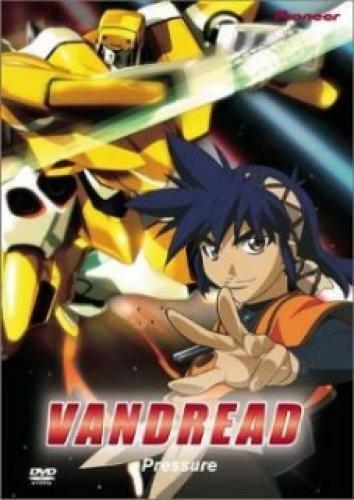 Is Vandread (US) worth watching? In a universe where men and women are raised on different planets that are at war with one another, a third class laborer named Hibiki Tokai decides to steal one of the elite Vanguard units of the men’s army in order to prove his own existence. However, when he gets captured in the process due to a change in the army’s schedule, he finds himself imprisoned and facing execution. When all hope seems lost, the men’s ship is attacked by an unknown force, though when it turns out that the unknown force is actually a female group of pirates, Hibiki decides to make a break for it in order to steal the Vanguard and get back to his home world. One event leads to another and Hibiki soon realizes that he must work with the females if he wishes to survive, though his involvement in the female crew soon permits both the males and the females aboard the ship to better understand more about one another. EpisoDate.com is your TV show guide to Countdown Vandread (US) Episode Air Dates and to stay in touch with Vandread (US) next episode Air Date and your others favorite TV Shows. Add the shows you like to a "Watchlist" and let the site take it from there.